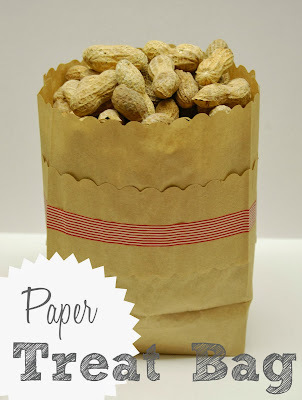 Last week Brody and I made these super simple paper treat bags. You can fill them with your favorite treats and decorate them for any holiday. We decided to have some peanuts while we watch the MLB Playoffs. All you need is paper bags, washi tape and some scissors. We like to use the decorate scissors to give the bags a pretty edge. Just use your scissors to cut the top portion of the bag off. 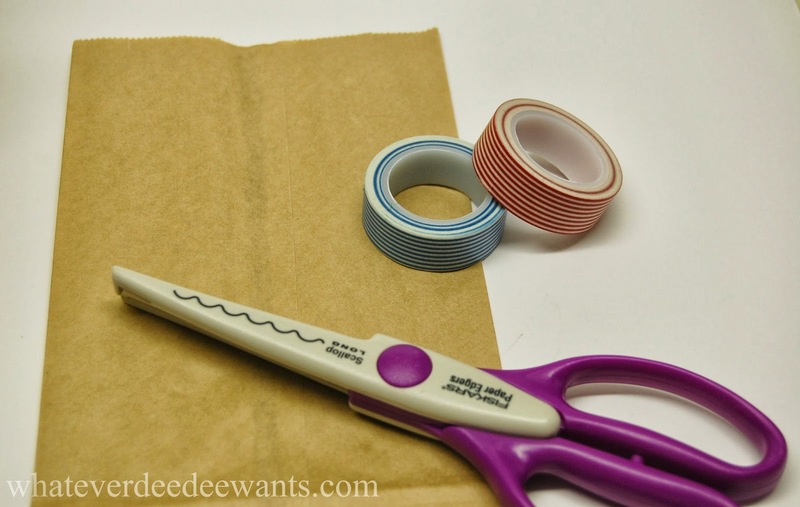 Use the washi tape to decorate the strip of bag you cut off. Slip the decorative strip back over the bag. Fill with your favorite treats or snacks. Easy peasy! I am making these. Can't get enough of that cute washi tape!